An economic survey in India has projected the country’s economy to recover, following the downturn resulting from a rapid demonetisation program undertaken in 2016. The survey also advocated for the adoption of Universal Basic Income, to alleviate poverty. 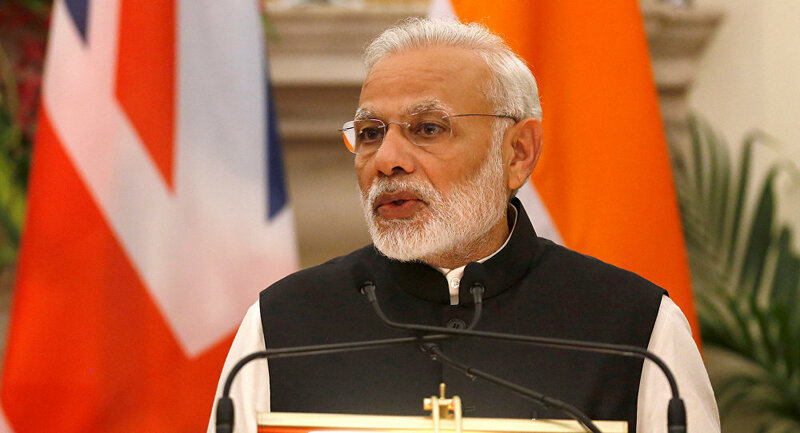 Prime Minister Narendra Modi shocked his country and the world in November 2016 by announcing that he would fight corruption by rendering 86 percent of the country's currency worthless. The decision wreaked havoc with India's economy for several months, but Subramanian believes that the worst is over, now that plans for a remonetisation are in place. "Briefly, the costs include a contraction in cash money supply and subsequent, albeit temporary, slowdown in GDP growth; and benefits include increased digitalization, greater tax compliance and a reduction in real estate prices, which could increase long-run tax revenue collections and GDP growth," the report reads. The report also lobbied for a Universal Basic Income (UBI) program to replace India's innumerable social-welfare programs. India has over a thousand such measures, but UBI could replace them all in a system virtually impossible to exploit. A UBI in India would provide every citizen, regardless of net worth, a monthly payment with no strings attached. It can be used to provide for basic needs, the theory being that it will be enough to prevent poverty, giving recipients the ability to seek education and recover from economic hardship. Subramanian has been one of UBI's most influential proponents, explaining to the Times of India that he considers the program a "safety net" for those "dragged into poverty due to droughts, declining agriculture opportunities, disease, and so on." However, in the survey, he warned that a UBI program is not an add-on to existing social programs, only a replacement for them, as both would not be fiscally viable. "It's a radical new idea," Subramanian said in a statement on Tuesday, January 31. "It has a lot of challenges. So it's an idea whose time is right for further deliberation and discussion and not necessarily immediate implementation." Jammu and Kashmir state (J&K) announced a UBI program for all citizens below the poverty line earlier in January. However, they placed the onus of initiating the program on India's federal government, as most of the social programs in effect in J&K are federal. J&K has a poverty rate of 21.63 percent, and an unemployment rate of 10.5 percent, one of India's highest. While Subramanian believes that a UBI would end poverty at "a stroke of a pen", skeptics point to speculation that the system would discourage labor participation, lead to overinflation as a result of spending, and send government spending out of control. India joins countries as diverse as Finland, Canada, and Kenya in experimenting with UBI.